Rio Salado College | RioNews: Constitution Week - Wednesday Trivia Contest! Constitution Week - Wednesday Trivia Contest! 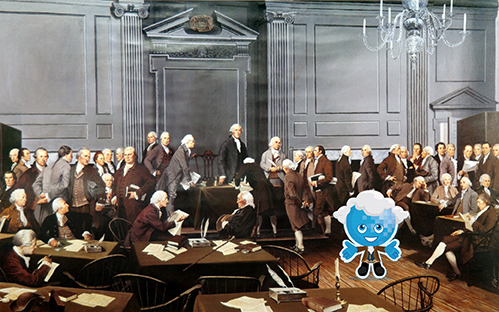 Pictured above is Rio Salado mascot Splash in the Signing of the Constitution by Louis S. Glanzman, 1987. Visit this web page and click on the image of a delegate in this photo to see his biography.